Should Ohio Police Be Able to Draw Blood Against Your Will? Trooper Mark Winder stopped Tyler McNeely for speeding and observed the usual trilogy of intoxication signs: odor of alcohol, bloodshot eyes, and slurred speech. Winder gave McNeely field sobriety tests and arrested him for driving while intoxicated. The trooper drove McNeely to a hospital and asked McNeely to give a blood sample. McNeely declined. Without obtaining or even seeking a warrant, the trooper had a lab technician take a blood sample from McNeely while McNeely was restrained. The blood sample was later analyzed, and it was determined that the concentration of alcohol in the blood was .154. 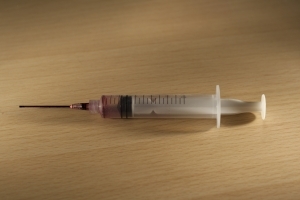 The trial court suppressed the results of the blood test, and the case made its way through the Missouri Court of Appeals and the Missouri Supreme Court to the United States Supreme Court. The question before the Supreme Court is: whether a law enforcement officer may obtain a nonconsensual and warrantless blood sample from a drunk driver under the exigent circumstances exception to the Fourth Amendment warrant requirement based upon the natural dissipation of alcohol in the bloodstream. The McNeely oral argument was held earlier this month and can be heard here. The prosecution in McNeely argues that involuntary warrantless blood tests are necessary to effectively enforce D.U.I. laws. The prosecution points out that alcohol in a suspect’s blood dissipates with time, so the blood alcohol evidence is destroyed if time is taken to obtain a warrant. Due to those “exigent circumstances”, the prosecution states, officers should be permitted to draw blood without a warrant.